That’s right. 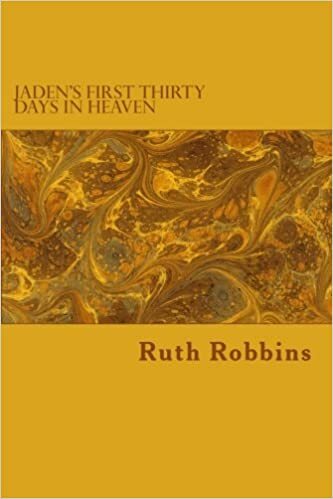 My new book, a novel about a nine-year-old boy’s first thirty days, getting oriented to heaven, is now available. It’s been available much less than a year now, so you will be among the first to read this book. The first thing I think about when looking at a book is, “What’s different about this book?” In this case, it’s the setting. It’s in Heaven, a place that all people want to get to, but many do not know the way. While thinking about writing this book (and it’s probably been at the back of my mind for many years, but did not surface in 2012, the month after my Dad died), and as I wrote it, I had several things in mind. 1. It had to be set in a perfect world full of sinless people and with God at the center. 2. The Bible had to be the basis for most of the events within the book, or at the very least suggested by what we know from the Bible. 3. Any accounts I had read or heard or seen about visits to Heaven would not be adapted into the book. That being said, I believe I have been faithful to this determination. Readers of some accounts may recognize phrases or peripheral ideas that may have come from one or more of them, but everything has been checked against the Bible, to the best of my knowledge. Sometimes an invention or idea may be recognized as similar to something already in use on earth. One or two scientific ideas mentioned may seem similar to some already in use. Sometimes as I wrote the chapter where these were mentioned I found out about it before writing them, sometimes later. Either way, the concept is often passed out from Heaven, some have said, in thoughts for men and women to think about globally. So why not within Heaven as well? Anyway, I’m getting ahead of myself, as you may not have even started reading the book. Anyway, here’s what it looks like.